It was now August, the project has been going well and a lot had happened since my last Microadventure. 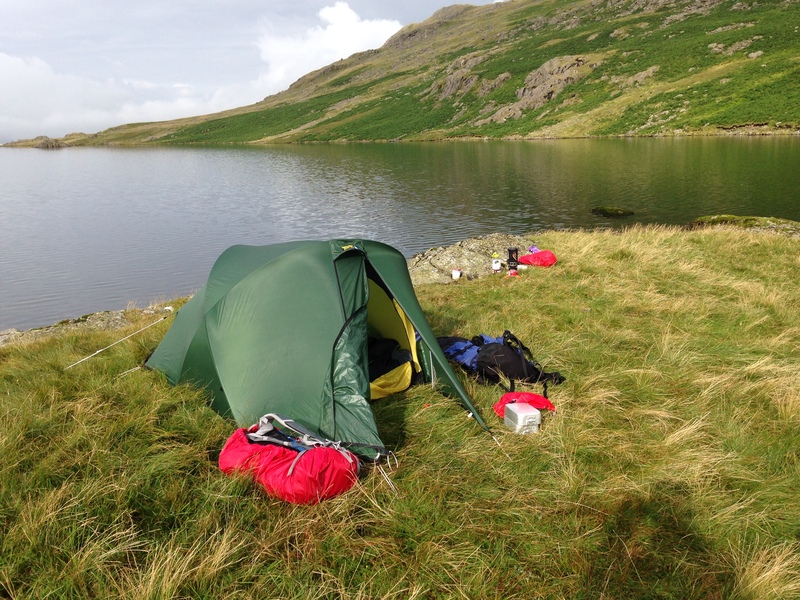 One of the things that excited me when I first heard about the year of Microadventure was the idea that I may be able to share my experiences with others. Before my move to Ireland I had lived in the Lake District for 10 years, most of which I had been working as an Outdoor Instructor and as such got to know the area fairly well. I love the Lakes, I love the landscape, I love the memories I have and I love the almost endless possibilities for adventure that exist there if you have an active imagination and a little know how. I was also excited for this adventure as it had been planned for some months. In my final few years in the Lakes I had regularly spent time there with my brother-in-law. We had walked, scrambled and on a few occasions when the weather and diaries had played ball we had even managed to get out for some winter mountaineering. Since then I had moved to Ireland and he had become a father for the first time and started a new job. After chatting to him on the phone one evening it was clear that while he was doing a great job in his new found role of being a Dad and had worked hard to settle into his new job he was starting to feel the strain. He hadn’t been in the outdoors for a while and hadn’t been finding much by the way of time to relax and recharge. I suggested as I was returning to the UK in August we should block out a night when I arrived and we should get away to the mountains. We set off from Lancaster on Saturday morning and about an hour later arrived in Coniston. I like Coniston. It is a great mix of lake district history, has an outstanding mountain and lake and if this is not enough it is home to one of the best brewery’s in the UK. As such it is hardly surprising it has provided a popular location for tourists and adventurers alike. Having spent many days in the hills around the Old Man of Coniston the aim was simple; to have fun, stay out for the night and attempt to ‘play the mountain’. Too often when we head to the hills we are full of goals and targets that must be reached. I have lost count of the amount of times I have seen a person in the mountains so obsessed by a goal they have set themselves, usually the summit, that they miss out on a whole world of joy and adventure that is all around them. Whilst route planning, summits and clear footpaths are all important and for many a vital part of mountain safety, for an experienced walker they can also start to become restrictive. Instead we decided to return to a more simplistic approach in an aim to find as much interest and fun along the way. I had a rough plan in my head, no fixed place to camp although I know of many, and a vague idea of route. We headed off with rucksacks packed and enough food for twenty four hours. The end result of our ‘play the mountain’ approach was brilliant. 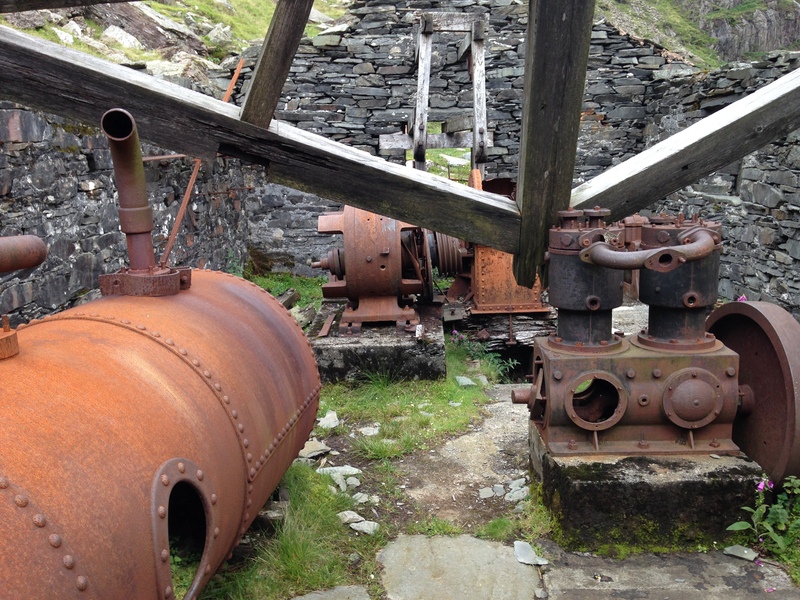 We scrambled, we explored, we discovered and reflected upon the industrial history of the mountain. We took our time, we didn’t rush and most of all we weren’t consumed by a need to get to the summit. We chatted, we laughed and we challenged ourselves. After an enjoyable day, even if it did rain as we finally decided to visit the summit, we dropped down to Seathwaite Tarn and set about choosing a suitable campsite. We found a wonderful strip of land that jutted out slightly into the Tarn leaving us with water on three sides. As we relaxed in our camp we drank tea and ate dinner. As darkness descended we were given a real treat. I don’t recall a night in all my time in the mountains when I have seen as many stars in the sky. It was wonderful. We saw constellations and meteorites, we chatted and we laughed, there was even a hipflask of whiskey to share. After a long and enjoyable evening we climbed into our sleeping bags and drifted off to sleep. The next morning we awoke, packed up our camp in a leisurely manner and had breakfast. 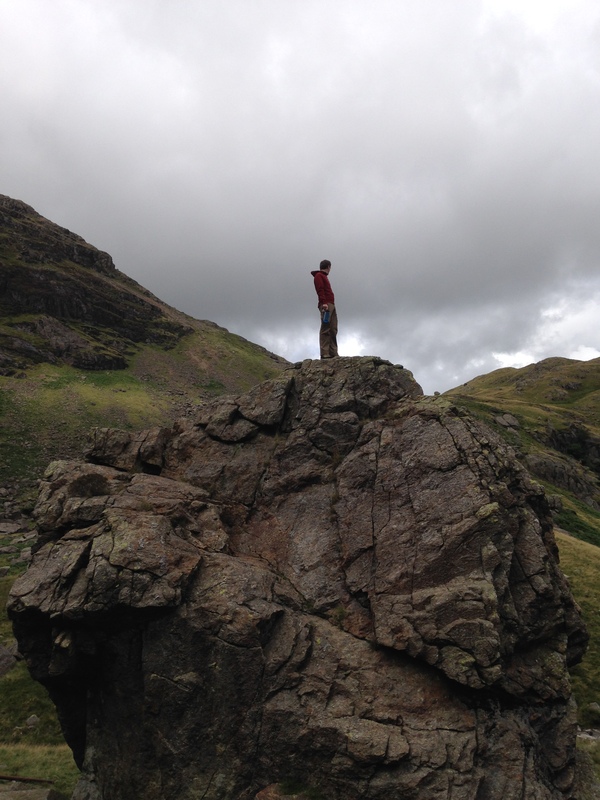 We took our time as we slogged up the steep climb from our temporary home to the top of Dow Crag. As we scrambled across the views we looked down over the crag and enjoyed the atmospheric environment some low cloud was providing. As we walked down the Walna-scar road we stopped and drank from a stream, the sort of crisp fresh stream that is only found in the mountains. Shortly over twenty four hours after we started we were sat in a beer garden back in Coniston. Drink in hand and lunch on the table in front of us. We sat and ate quietly with a smile on our face. There was little left to say and no need to say very much. Our night away had done all we had needed it to. We were relaxed, we were happy and we were rested. Our idea of little by the way of a planning and allowing time to explore and let our route be decided by impulse, fun and discovery had worked. As we drove home in search of a shower and to prepare to return to work on Monday we felt satisfied. Another Microadventure was complete and we were all the happier for it.